Looking for Reef Tour 28th / 29th/ 30th DEC 2016? It is extremely busy this year with all dive and snorkel boats from Cairns totally booked out until near 04th JAN 2017. It is normal for Cairns to be busy at this X-mas New Year time of the year but this year 2016 is just going crazy. All the pontoons like Quicksilver, Reef Magic, Great Adventures and Sunlover Reef cruises are already totally booked out. Which boats are available from Cairns? The only boat the has limited seats available is Magic-02 Snorkel & Dive, contact us quickly if you want to Snorkel or Dive PH:0740411635 see the full product page to book online. 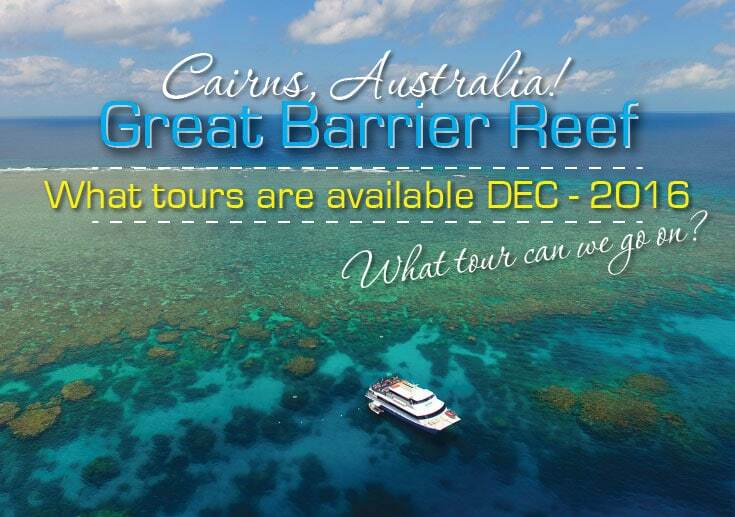 Remember only limited seats available for reef tours from Cairns on Magic-02 Dive & Snorkel – 28th / 29th/ 30th DEC 2016. Book online or give us a call for more information. In general, you need to book more than 3 weeks in advance for the December / January Australian school holiday period in Cairns. Cairns is a very popular destination to spend X-mas with family and friends. In the future try to remember to book in advance to avoid missing out on the tour you really prefer. ← Agincourt Reef vs Moore Reef, Which is Better?